Plants have unique healing properties that resonate with the body and have the ability to promote optimal physical, emotional, and mental health. Aromatherapy is the use of Essential Oils found in aromatic plants. It focuses on the therapeutic properties of essential oils which are distilled from plant material such as seeds, flowers, roots, leaves, and resin. These essential oils, being natural products, resonate in harmony with the human body. They are especially effective with emotions. When the aroma from the essential oils enters the nostrils, it is transported via the olfactory nerves into the limbic part of the brain where emotions are stored. The aromas of different oils can be helpful with promoting increased alertness, relaxation, comfort, and focus, plus much more. When used in massage oil, rubbed undiluted on the body, smelled directly from the bottle, or diffused into the air, these oils provide the person using them with a natural option for improved health. In 2014 after three years of study with Institute of Spiritual Healing and Aromatherapy (ISHA) based in Knoxville, Tennessee. ISHA is approved as a provider of certification in aromatherapy by the National Association of Holistic Aromatherapy for Levels I & II. It is accredited by the International Federation of Professional Aromatherapists. To educate others in essential oils, she runs a monthly Essential Oils Gatherings at Serendipity Meadows and will also provide essential oil presentations (free of charge) upon request at private homes and businesses. 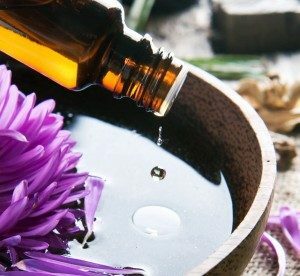 Debbie became interested in adding Aromatherapy into her natural health practice as she observed positive results with her patients and clients when essential oils were used in the course of treatment. She intuitively blends them with the other techniques she uses for pain and stress management as agreed upon by the client. Each client is instructed in the safe use of essential oils and how to effectively continue to use them for optimal results in various organ systems of the body. The application of the oils both topically and through the diffuser have helped the healing process of colds and bronchitis in our family. We have shared the oils with friends who have various allergy and respiratory issues and the results in improved health conditions have been astounding.